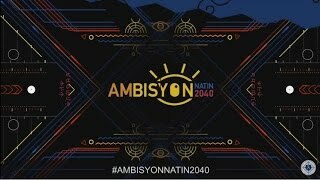 Gumawa ng nationwide survey ang National Economic Development Authority of the Philippines (NEDA) para malaman ang ambisyon ng mga Pilipino, at lumikha ng long-term vision para sa taong 2040. 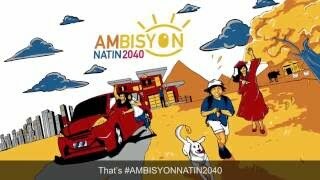 Ito ang #AmbisyonNatin2040 campaign! G na ba kayo? Ano ang nais ng mga Pilipino para sa bansa? 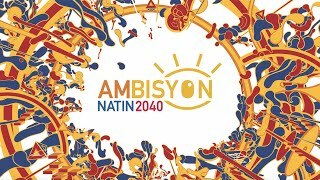 Ayon sa #AmbisyonNatin2040 survey, ito ang long-term vision of Filipinos for the country: “The Philippines shall be a country where all citizens are free from hunger and poverty, have equal opportunities, enabled by a fair and just society that is governed with order and unity. A nation where families live together, thriving in vibrant, culturally diverse, and resilient communities.